The last Sunday morning started off with no particular agenda. No time to be anywhere and nowhere to be at a certain time. It was a leisure sunshiny day where I found myself bathed in the warm rays of the sun every time I stepped out of the shadows. I felt alive and perhaps a little sweaty in places. I told the hostess that my mother’s opinion of me is much higher than everyone else’s. I think I even heard an “Amen” from a table of people beginning to eat nearby. I had a Bacon Cheeseburger and French fries for breakfast. Along with a diet cola. Allyson ordered some eggs with a side of hash browns and hotcakes. She wanted to order a pot of coffee, but I kept to my rules concerning my intake of java. I don’t drink it when the high temperature of the day is above 50 degrees Fahrenheit. I read the last newspaper that I got from the vending machine outside. Allyson didn’t want me to get one particular newspaper offered. She had a problem with it because the family that owned the newspaper once had slaves or something like that. I wasn’t really listening until she yelled at me for buying THAT very paper. I calmed her nerves by telling her that all those bad racist people are dead now. We hung out for a short time when we got back to her place. I don’t know when I left Allyson’s… I didn’t look at the time. I don’t even know when I got back home. It was a great ride home with my Zune player set on random. --There won’t be another update until Saturday. I’ll be doing a little work in Boone with the Murphy In The Morning show Friday. I’m leaving Thursday afternoon for a return planned around noon Friday. 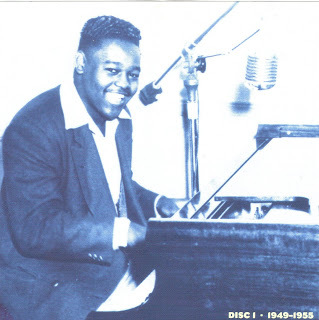 Here's some Fats Domino for you to enjoy. Look for Mike Connors, TV's Mannix in there.